The U.S. agency's new "leapfrog" draft covers device design, manufacturing, and design testing for standard and "patient-matched" devices. FDA has released "leapfrog" draft guidance for the rapidly evolving world of 3-D printed medical devices. The agency based the guidance on input from device manufacturers, 3-D printing companies, and academics who testified at a 2014 hearing. The document covers device design, manufacturing, and design testing. For the purposes of the draft, FDA identified four main types of 3-D printing--powder fusion, stereolithography, fused filament fabrication, and liquid-based extrusion. Manufacturers would have to clearly identify every step in the 3-D printing process, and might need to submit a "high-level summary of each critical manufacturing process step," the guidance says. They would also have to document each step's risk, and describe how they would mitigate those risks. They should also expect to perform just as much testing as for a non-3-D device, and more. The type of testing data needed would depend upon whether the device is an implant, load-bearing, and available in standard sizes or custom-made for each patient, or as FDA put it "patient-matched." Orthopedic manufacturers are already using 3-D printing to produce standard implants. Large orthopedic device manufacturers--such as Zimmer Biomet, Johnson & Johnson's DePuy Synthes, Smith & Nephew, and DJO Global--are using 3-D printing to make surgical guides for a range of orthopedic procedures, including total knee, total hip, or shoulder replacements. Beyond orthopedics, researchers are experimenting with3-D tracheal stents and custom medical implants out of resorbable plastics. 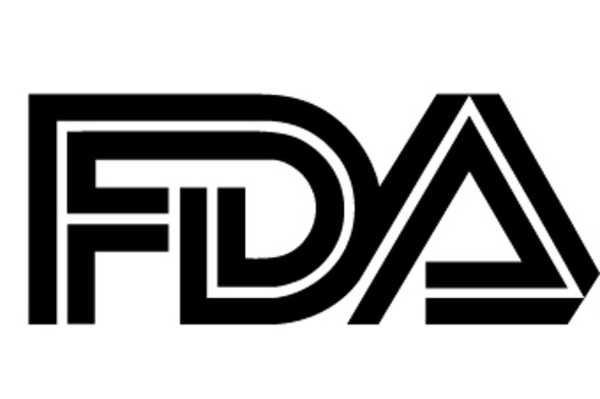 FDA acknowledges that the implications for 3-D printed devices are vast. The leapfrog draft guidance represents the agency's initial thoughts on the technical considerations surrounding the design, manufacture and testing of 3-D medical devices, which have few precedents. "While this draft guidance includes manufacturing considerations, it is not intended to comprehensively address all considerations or regulatory requirements to establish a quality system for the manufacturing of your device," the agency said. The agency excluded biological, cellular, and tissue-based 3-D products from this guidance because it said these may need more specific guidance or different regulatory pathways. Point-of-care devices would likely need more technical considerations, it added. The final document will outline the content of premarket submissions for "emerging technologies and new clinical applications that are likely to be of public health importance very early in product development," the agency said in its Federal Register notice about the guidance. The agency "strongly encourages" manufacturers to engage with CDRH and/or CBER through the pre-submission process for detailed feedback regarding their (3-D) device or process. The draft guidance "provides a solid basis for medtech innovators to understand what is needed to prove safety, efficacy, and consistency to growing on-demand components for the human body," said Derek Mathers, an adjunct professor of 3-D printing at the University of Minnesota and business development manager at Worrell Designin Minneapolis. Mathers called "patient-match" an "ideal term to describe patient-perfect devices." "Standard-sized 3-D printed devices are offered in discrete sizes, and include features that are too complex to be manufactured with traditional processes like machining and molding," he explained. "Patient-matched 3-D printed devices are devices that are digitally scaled (manually or by using an algorithm) to match a patient's specific anatomical features. The FDA identifies that these bespoke devices will require significantly more validation work across every step of the 'scan-to-fit' design process." Creating compelling 3-D production flow diagrams with comprehensive summaries of each step, as the draft guidance describes, will be important to any 510(k) or PMA application for a 3-D device, Mathers added. The specific steps are broken into device design, software workflow, material controls, build process validation, post-processing workflow, and testing considerations. CBER and CDRH will have to work together to be certain that the next generation of 3-D printed materials are safe and effective for use, Mathers added. "This guidance document should serve as a boilerplate for analyzing future combination products, but will require collaboration with the agency to obtain more detailed feedback," Mathers said.